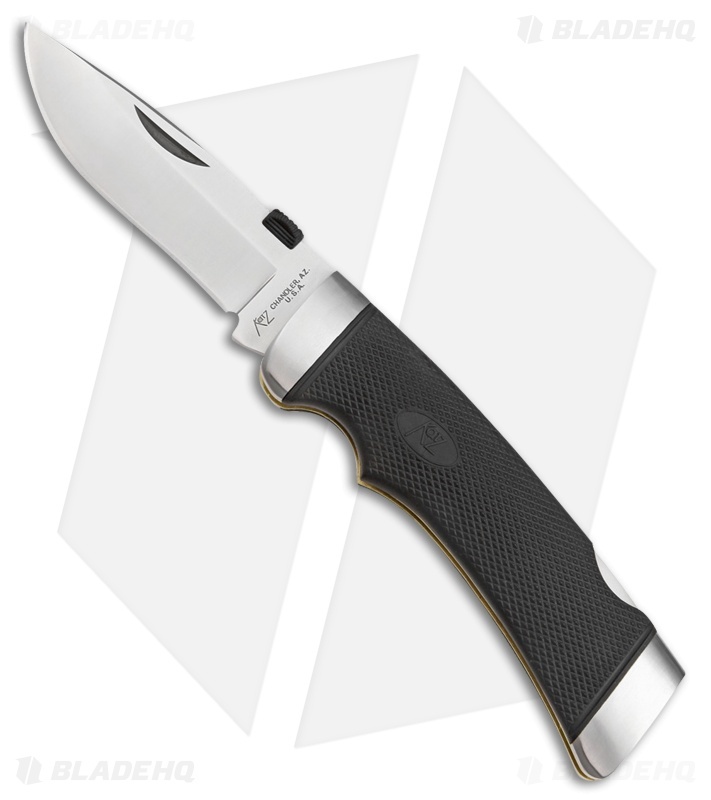 The Cheetah K-900/DP by Katz Knives is a no frills work horse folding knife, made of sturdy materials and excellent build quality, the Cheetah doesn't disappoint. Sporting a 3.75" XT-80 stainless steel drop point blade is easily deployed via the thumb stud or nail nick. When open, a stout lock back mechanism secure the blade open, allowing for even the toughest cutting tasks. Black checkered Kraton handles are comfortable in hand while providing fantastic grip for total control. 3.75" XT-80 stainless steel drop point blade for excellent piercing and slicing capabilities. Checkered black Kraton handle for a solid, reliable grip. Sturdy lock back mechanism for confidence in hand.